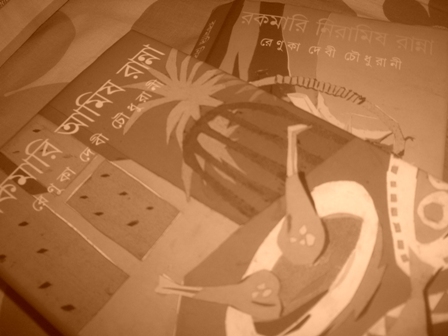 Today is Dashami- the last day of Durga Puja. Time to say adieu to Goddess Durga. 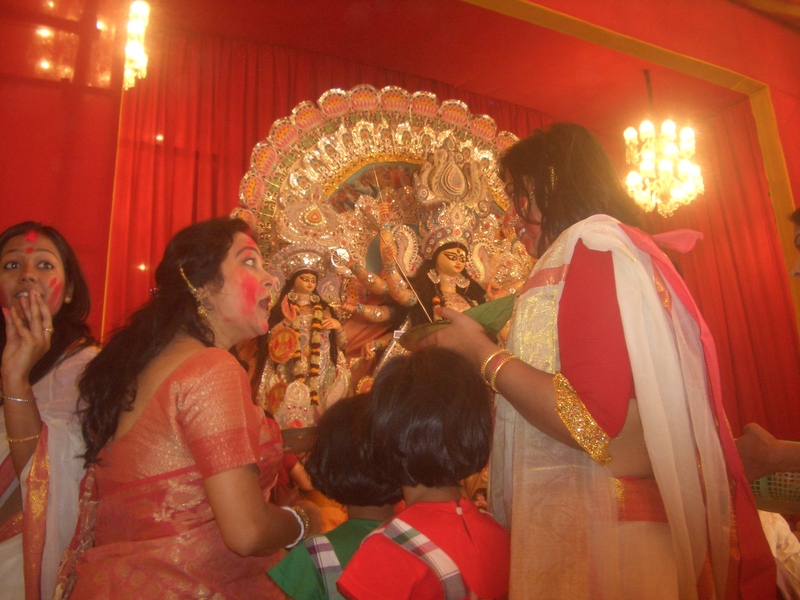 As we gear up to say adieu to Goddess Durga, it is time to exchange Bijoya Dashami greetings. 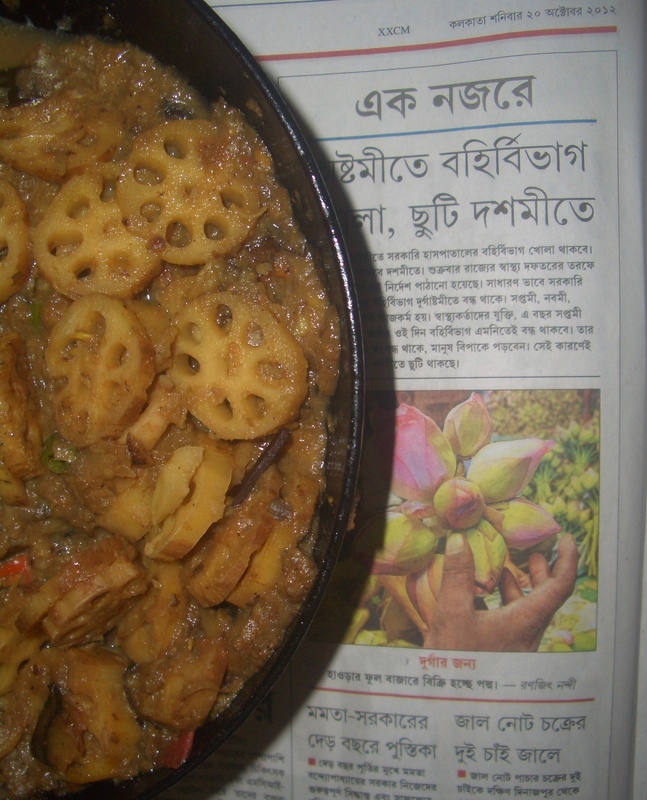 This is the time when friends and relatives visit households and of course there are foods specially associated with Bijoya Dashami- particularly sweets. 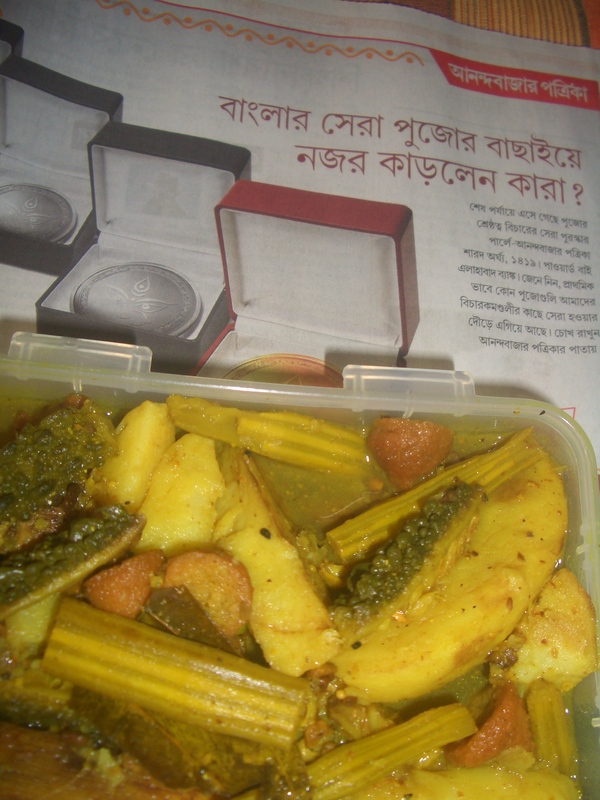 In this entry I will share with you the Dashami lunch my mother and I cooked before heading off to the pandal to watch sindoorkhela and one of the evening snacks associated with Bijoya Dashami. Sindoor is the red powder worn by married Hindu women in India, in Bengal it is red in colour. In some other parts of India they also use orange coloured powder. Usually Sindoor is applied at the parting of the hair or as a dot on the forehead. 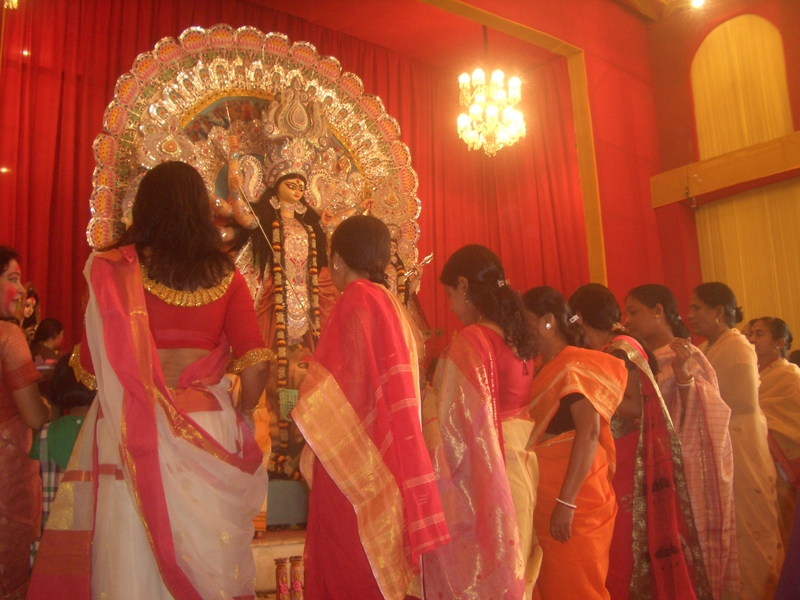 Today, the women dressed in off white sarees with red border start queuing up in pandals to apply Sindoor and feed Goddess Durga some sweets- followed by Sindoor Khela. After offering Sindoor to Goddess Durga they also exchange Sindoor among themselves and paint their faces with Sindoor. 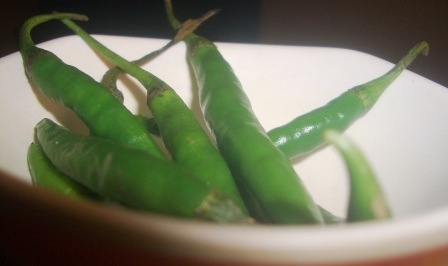 Shukto is the Bengali dish slightly bitter in taste and the appetiser of Bengali meal. 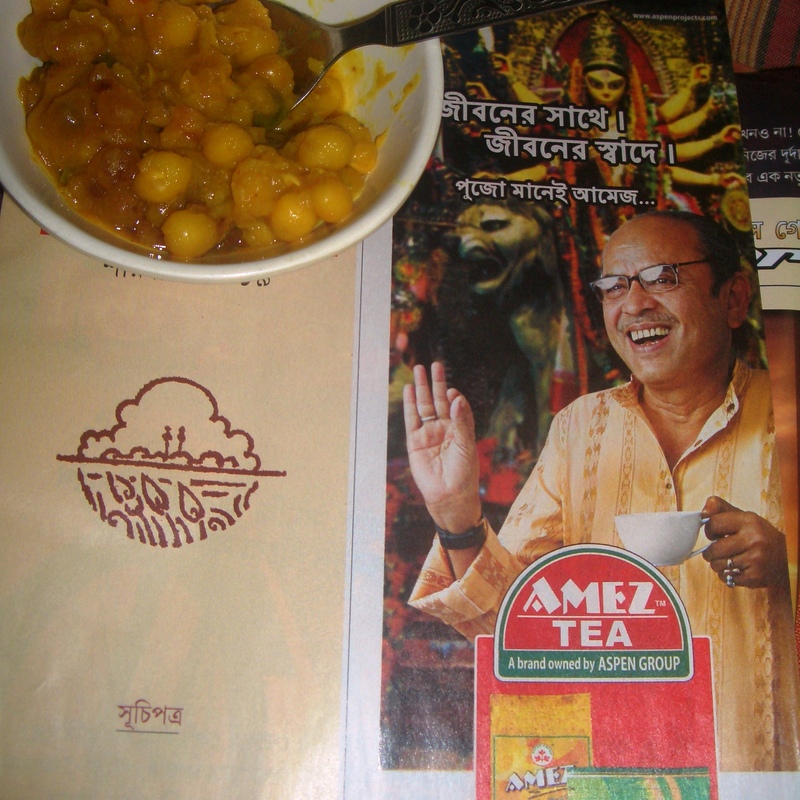 Needless to say, and as you might a Bengali meal is a five to six course affair. We start off our meal with shukto ( a lightly spiced curry with a mix of vegetables and the key ingredient is karola/ bitter gourd). There are various versions of the Shukto recipe. We use bitter gourd, raw banana, drumsticks and potato. My mother deep fried the vegetables and kept them aside. 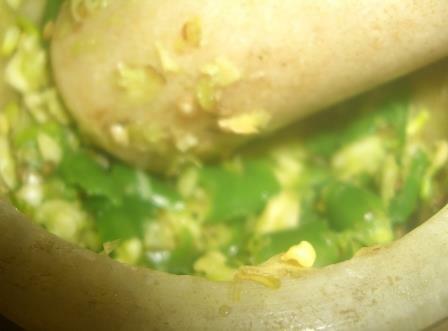 She added a spoonful of oil and then added paanchphoron and dry red chilly. Once it crackles, you add the fried vegetables add salt, turmeric and a pinch of sugar and lightly fry and add water. Once you see the bubbles, finish it off with a das of the secret ingredient. 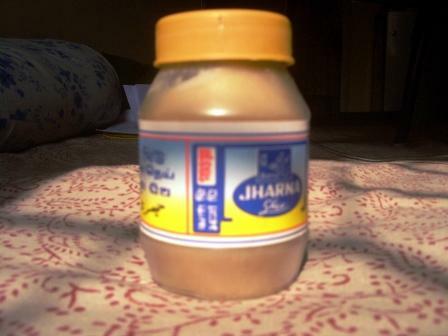 The secret ingredient my mother taught me is to dry roast some paanchphoron and wholesome yellow mustard seeds and pound them.